It’s that time of the year again! The days are getting longer, and your stories are getting shorter. Miniscule really. Practically non-existent. But, for whatever reason, a competition that awards brevity also necessitates a rather long, all-encompassing list of rules. There are a lot of cheaters with literary ambition out there. First rule. This one’s basic people: It’s 55 words or less. If it’s longer, it ends up in a wastebasket. If it’s shorter, well, good for you. You’ve mastered the art of brevity. If, in the pursuit of a lower word count, you need to use contractions, go to town with them. We’re not going to tell you that you can’t, shouldn’t, wouldn’t, won’t, or couldn’t. Hyphenated words, however, are not considered one word. So if you’re going to wax poetic about “the blue-green sea,” remember that every time you do, you’re down four words. Numbers count as one when expressed as digits (29) but two if spelled out (twenty-nine). Also, initials are taken into the word count. J.K. Rowling is three words. Accepted acronyms, however, are considered a single word, so if you want to tell a story about a member of the GOP who got caught soliciting lewd acts in an airport restroom, well, GOP is one word. But if you’re going to re-tell a story that everyone has already heard, for the love of those of us who end up reading it, toss in a clever twist. Or re-think your idea entirely and tell us something that nobody’s ever heard. 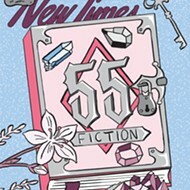 And while we’re offering friendly advice that has nothing whatsoever to do with the actual rules: Please don’t use 55 Fiction as an opportunity to re-hash old jokes you first heard on the playground in elementary school. We all know that women can be doctors, so if Timmy needs an operation and his father just died in a car accident, we know he still has one parent capable of performing the operation. Really, it’s insulting to try and pass something like that off as your original fiction. Also, we do tend to receive a huge stack of “after all” stories. Minnie wets herself because she’s so excited to see her family. Last line: “After all, Minnie is a mouse.” Or Jack finds himself stuck in a tree until a friendly man in a big jacket uses a ladder to help him down. Last line: “After all, Jack is a kitten.” Maybe, just maybe, it’s possible to create an “after all” story that will drop our jaws and send us into fits of joy for hours. But we have yet to see it. Back to the rules. The title of your story is not part of the overall word count, but it still can’t exceed seven words. If you do not create a title for your story, one will be created for you. Wondering where to start? Well, it’s fiction. A story. Which means that you’re going to need a setting, at least one character (doesn’t have to be human), a conflict, and a resolution. Mind you, within these guidelines there is a lot of room for flexibility. Resolution doesn’t have to mean that anyone lived happily ever after, and a character can be a disgruntled bottle of water or a tap-dancing rock. Be creative. Just make sure you tell a story. Remember: This is not a poetry contest. While stories can technically rhyme, they don’t often do so unless forced, and who wants to force words into doing something they don’t really want to do? Please don’t submit poems, essays, or musings. 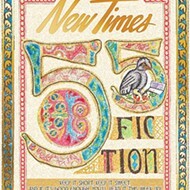 New Times must receive all entries by June 9, and the winning pieces will be printed in the paper’s July 3 issue. Submit as many stories as you like, but remember to include your name, address, and phone number on the same page as each entry. Also, submissions don’t have to be typed, but they’re much easier to read when they are. And the easier they are to read, the more favorable the exhausted judges will be. So tighten your focus, trim out the unnecessary adjectives, and happy writing! Arts Editor Ashley Schwellenbach says that instead of whining that your story wasn’t chosen, write better. Send complaints anywhere except aschwellenbach@newtimesslo.com.